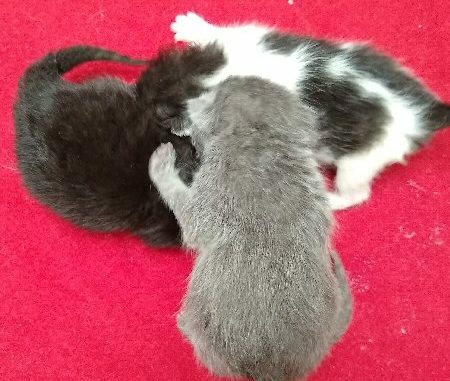 OSWEGO, NY – A mother and her three newborn kittens were experiencing an emergency life or death situation and were surrendered Monday, March 25, to the Oswego County Humane Society and Fulton Animal Hospital. Oswego County Humane Society received an emergency phone call from the Fulton Animal Hospital. 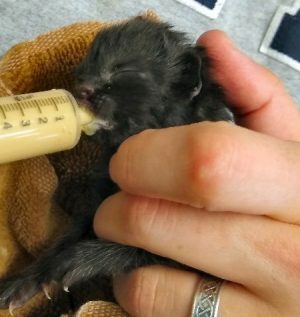 A member of the community brought in his female cat, that had just given birth in the morning to three kittens, to the hospital. The mother had a prolapsed uterus. Fulton Animal Hospital decided to do emergency surgery on the mother to fix the uterus by spaying her. 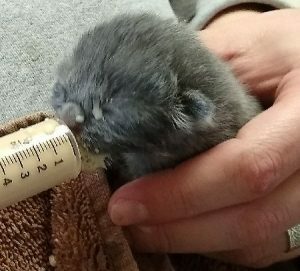 Because she wouldn’t be able to produce milk and nurse, the kittens were surrendered to the Oswego County Humane Society and are currently being bottle fed. Feedings happen every two hours, around the clock. The man that delivered the cats has openly admitted to suffocating kittens in the past, according to OCHS. He also openly stated that if he took the mother or kittens home that he would suffocate them also. He has surrendered the kittens to Oswego County Humane Society and has signed the paperwork to relinquish custody. The mother was surrendered to Fulton Animal Hospital, but is going to be turned over to Oswego County Humane Society once she is recovered. The mother cat is recovering well and will be available for adoption once healthy. 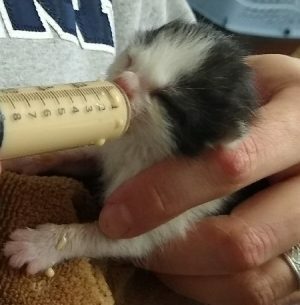 The kittens are each 4.5 ounces and are being cared for 24 hours a day and seem strong at this point. Updates will be given on the OCHS Facebook, Twitter, and Instagram pages as we have news to communicate. The Oswego County Humane Society is asking for the community’s help with the care of the felines. The veterinary costs and care of the mother cat and kittens is more than $1,000.